The weather's been great lately, so we've been playing outside quite a bit. Earlier this week we checked up on the house and stopped by at Virginia and Tony's house to feed the fish. 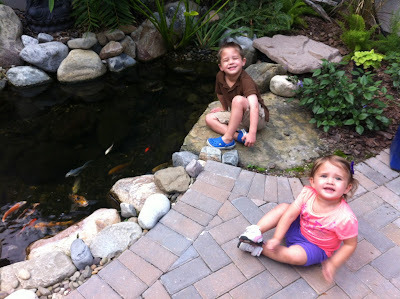 The kids loved the Koi pond in Virginia's house and both got little cups of food to throw in for the fish. Connor said he wants a fish pet now. We've also been practicing bike riding with Connor. He's getting pretty good at it and we took a pretty long walk with the kids yesterday. 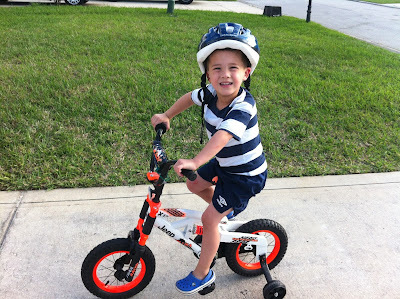 Connor did really well pedaling his bike, but sometimes when his foot was at the top of the stroke he'd push backwards instead of forwards, which would stop the bike. he'd get frustrated and would yell "Stop it Patrick!". Andrea asked him who Patrick was and Connor said that it Patrick was the pedals and was crazying him. 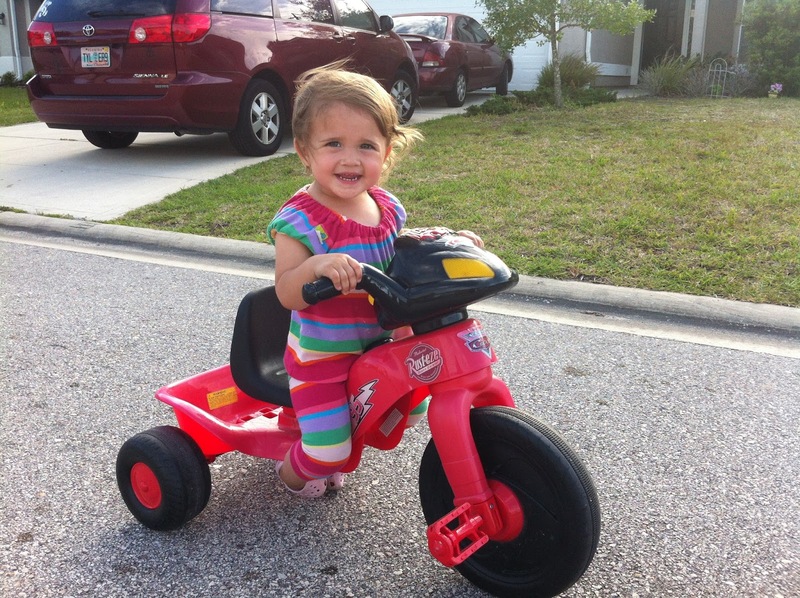 Paige kept up really well on the Lightning McQueen Powerwheel. She kicks her feet along and gets moving pretty fast. She's a hoot on it and never gets tired. We probably went a mile and a half when we quit and she wasn't ready to stop. She threw a fit when we had to go inside, lots of energy! we sure enjoy the updates on our beautiful grandchildren! She's a speed demon. Gonna have to watch that girl. Connor looks confident on that bike.